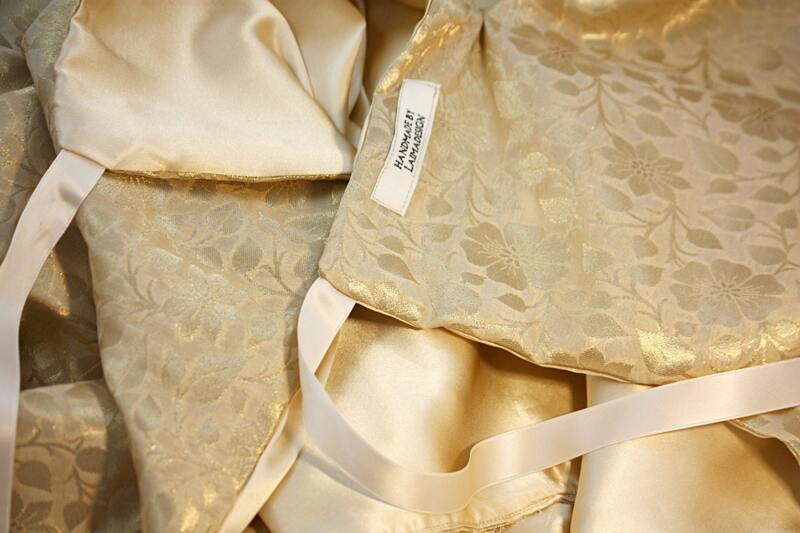 Beige silk brocade with sweet golden flowers, lined with cream charmuse silk. 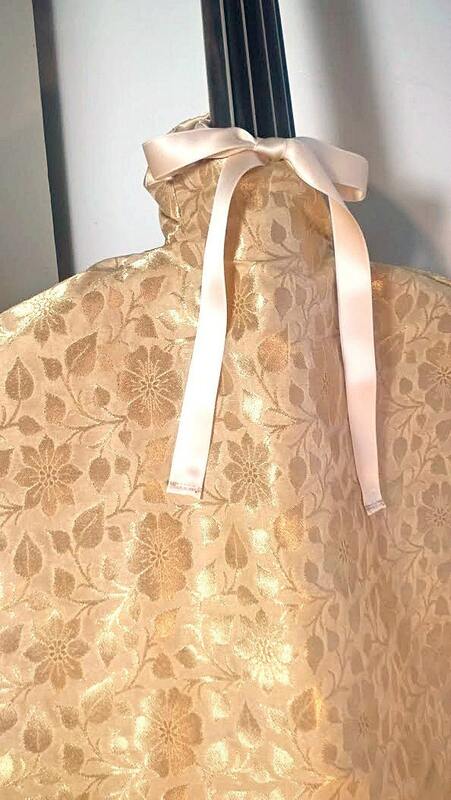 I had difficulties taking good pictures of the whole cape, so in the last picture you see this model but in a different fabric, from the front and behind. 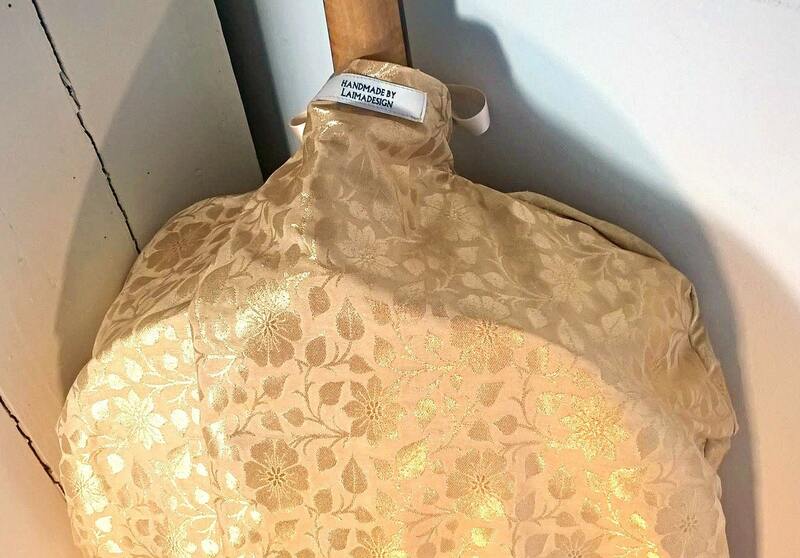 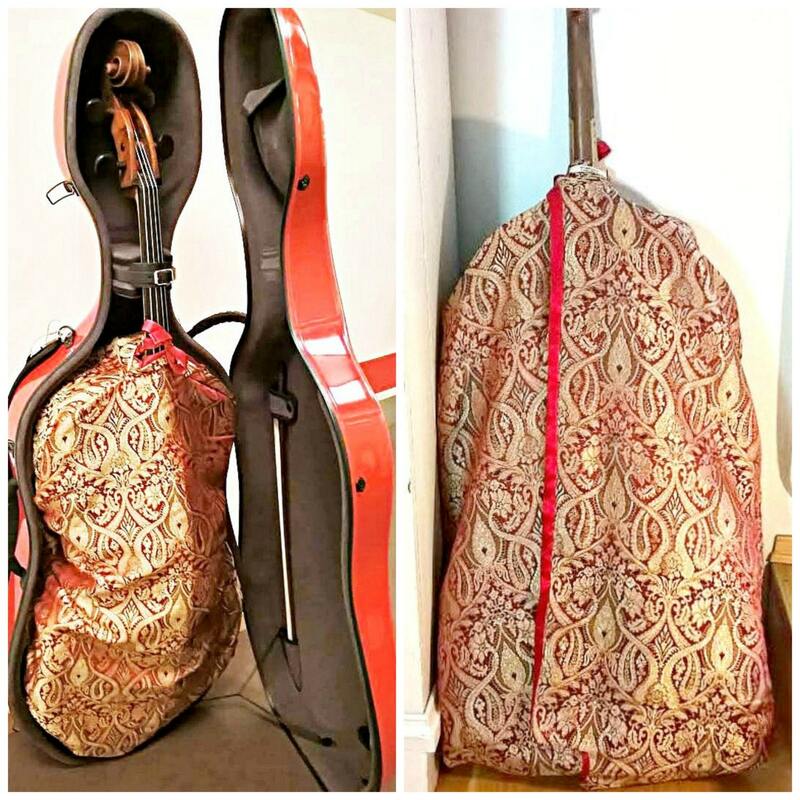 The Cello Cape is made of beautiful silk brocade and lined with very soft and smooth silk.